Mr. T is a man of few words (but crazy ties… I mean, he has a shag carpet tie! I digress…). 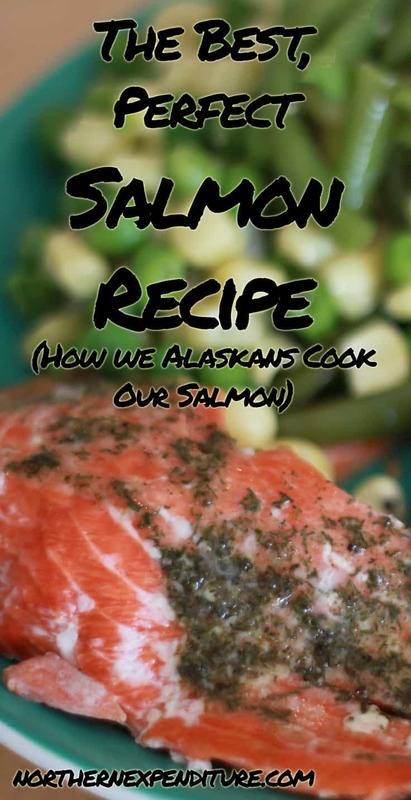 He’s the salmon chef around here, so I talked him in to jumping in on this post to share his Alaskan expertise (since he’s been cooking it weekly for about five years now). After last week’s dipnetting adventure, we’re ready to cook up some more! Grab your baking sheet, line it with foil and get ready. Here he is now! Introducing, Mr. T…. Oh hi. With smaller fillets (maybe 24 oz. or less) I cook them at 425 for 10-12 minutes, depending on thickness. With larger ones (high 20s or 30+ oz.) I cook them at a lower temperature for longer so they can get cooked through better, so about 400 for 12-15 minutes, or a little longer for the real thick ones. It can be hard to hit the sweet spot where it’s cooked through but still moist and juicy. The longer you cook it the drier it becomes, but cook it too short and it’s more like lox (which I don’t mind, but Maggie doesn’t like; actually for me it’s best when the end is cooked through and I give that part to Maggie, and I can take a middle part slightly underdone). Usually I can tell pretty well if it’s done by looking at it: if you’re seeing a little whiteness in the cracks and it’s starting to flake apart on its own in one or two places in the thinnest parts I take it out of the oven. As for seasoning, a lot of chicken or steak rubs and marinades taste pretty good on salmon, and of course there are plenty of salmon and seafood-specific rubs out there. What I always do is mix a powdered marinade or rub with olive oil so that it spreads out easily with a spoon over the face of the salmon. Sometimes if we’re eating it with a more flavorful salad or relish or something I’ll just spread olive oil over it and crack just a little salt and pepper over the top. I always put the oil on to help it stay moist, whether I’m using a rub or not, but you don’t need much. 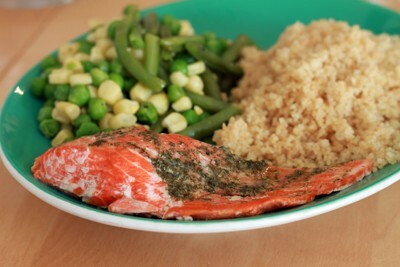 As for recipes, we mostly we just eat a cooked fillet with rice or quinoa or couscous and vegetables. And that’s all I have to say about that. 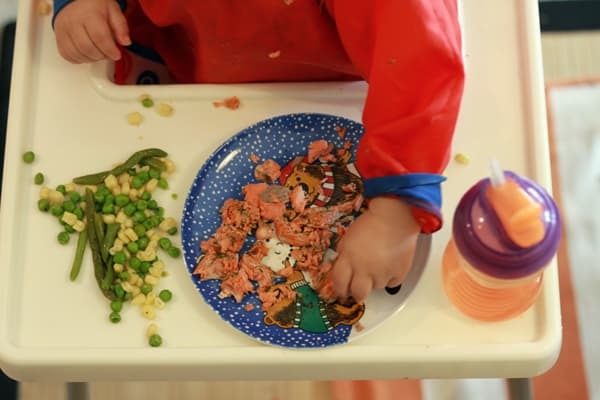 Even tiny hands can’t wait to grab a bite! Dipnetting: How do you get your salmon?